Turnberry Holiday Park is the ideal place if you want a tranquil holiday, very friendly, although if you require we have a new refurbished club that will open on the 25th March 2017, a swimming pool (you have to book this in advance), sauna, and a small childrens play area, there is a restaurant in the club and a small convenience store. Most weekends during the season we have live entertainment, karaoke on a Friday, Bingo at weekends and during the summer season we have a childrens entertainer in the club. The Park is 4 miles from Girvan, where there are plenty of restaurants, shops and a lovely beach, also on the 2nd April 2017 Girvan will be opening their new Swimming Complex, there is also a Golf Course, but then again you can always try you luck at The Trump Turnberry Golf Course which is about one and a half miles from the Park. The Maidens which is 2 miles from the park has a bowling green, swing park and also the best restaurant the Wildings. You can also visit Culzean Castle 5 miles from Turnberry, and in Ayr you have the Animal Farm Park. At Turnberry especially at the beginning of August we have our Gala Day, which is great fun for the children, and most thing for the kids is free that day. (Face Painting, Bouncy Castle etc.) If you are like me you will need your Wi-Fi that is also provided. Why not book and find out for yourself how relaxing this place can be. (Brig-a-doon is my nickname for it). After receiving a very warm welcome from Jan she showed us around her beautiful caravan. A really nice welcome pack was also included. Everything was provided which was great after a long journey with a dog. We had a really relaxing holiday and the awful weather has not put us off, as we hope to return next year. 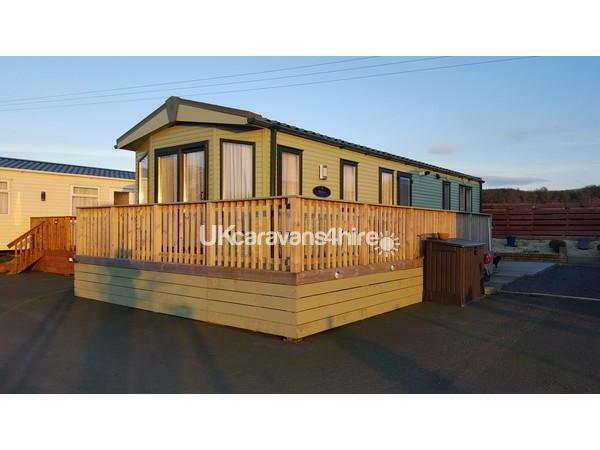 This caravan is excellent value for money. Thanks gillian and David glad yiu enjoyed your break. Hope to see you both next year with Milo and i hope you get some sunshine. Thanks Janet hope to see you again next year. 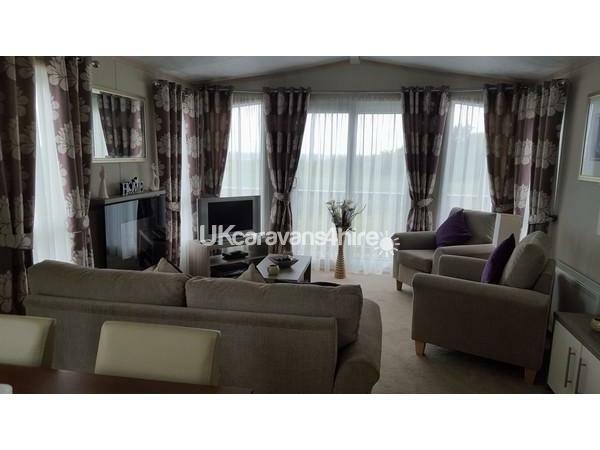 This is a top notch luxury caravan situated on a lovely site with amazing sea views. Has everything you could possibly need or want for a family holiday. Janet is so thoughtful and genuinely cares and takes pride in her caravan and that shows in abundance. Brilliant holiday in a stunning caravan, will definitely be booking here again. Big thanks to Janet. ???? Glad you enjoyed the caravan thanks for your booking and your comments. We stayed at Jan’s caravan and from the first moment we arrived Jan made us feel very welcome. 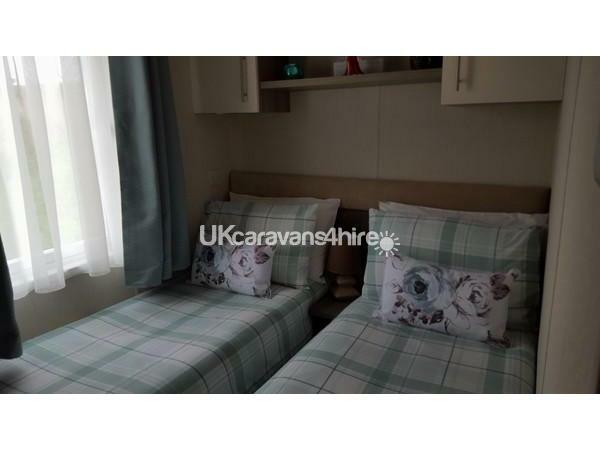 The caravan was spotless, clean and very tidy. We took our 2 year old labradoodle and it was ideal for her, the caravan had decking and patio doors with meant Misha could go out on the decking and lay about as the decking had a gate there was no fear of her running off. 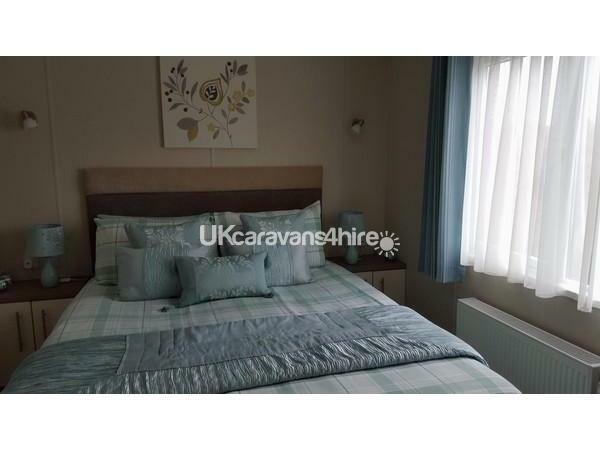 I would highly recommend this caravan to anyone, Jan will make you feel right at home and I would not hesitate on contacting Jan to book this caravan again. The park itself is very friendly and is quiet, and the view from the caravan was amazing great view of Ailsa Craig. Jan was the perfect host. Thanks glad you all had a good time. Hope to see you all again. Was in this caravan Monday to Friday august break. 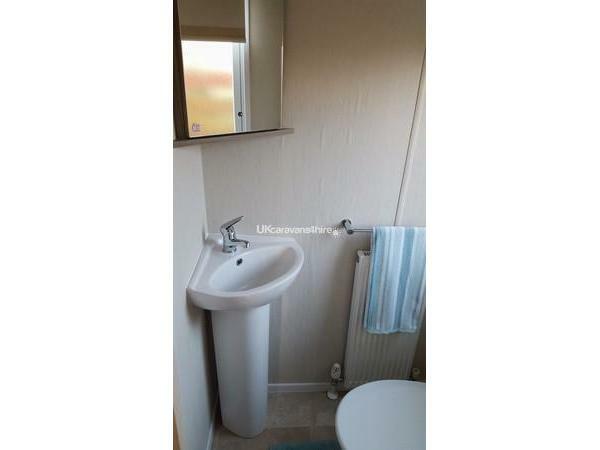 Spotlessly clean good Seaview, Jan was great, back September. Cant wait. Beautiful caravan in a stunning and picturesque setting. It was immaculate and Jan was a pleasure to deal with. Communications prior to booking were very good and Jan was there to greet us on arrival and give us a guided tour. 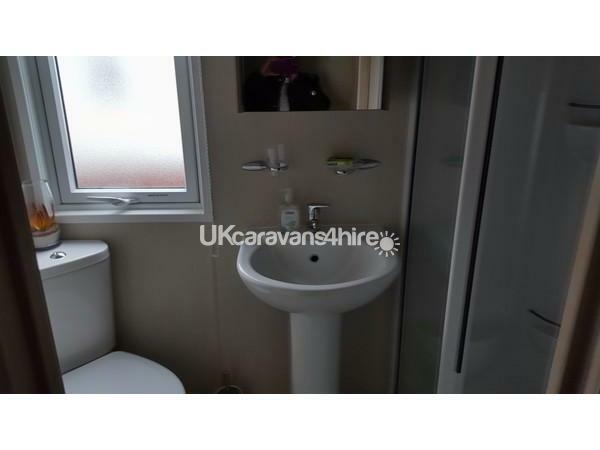 She left us tea, coffee, milk and biscuits and there were plenty toilets rolls, dish towels and washing up liquid, soap etc which you don't normally get in a private caravan hire but really appreciated. Caravan is well equipped and we didn't want for anything. Beds were really comfy. We really enjoyed sitting on the decking watching the sun set and the beautiful views across to Alisa Craig. Would definitely recommend this van and we will definitely be back. Heather, thanks for your comments I am glad you all enjoyed and hope to see you next year. Book early as people are booking for next year already. Once again thank you. 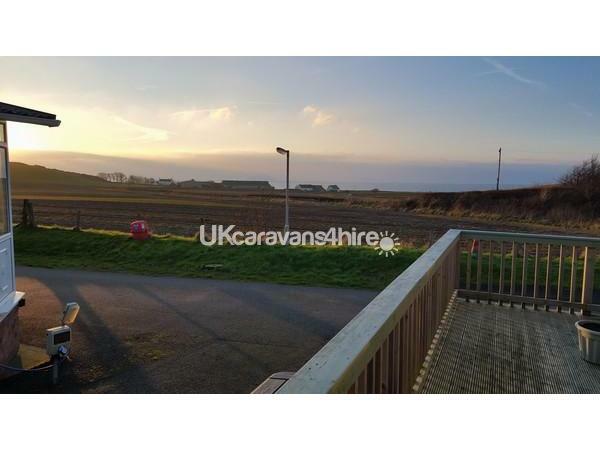 What a beautiful caravan in a lovely spot with superb views over the sea to Ailsa Craig and Arran. Jan provides a home from home with everything you need to enjoy a great holiday. First class comfort in a first class caravan. Warm and quiet with a lovely patio and table and chairs on the decking make it the ideal spot to wind down at the end of the day with a glass of wine. 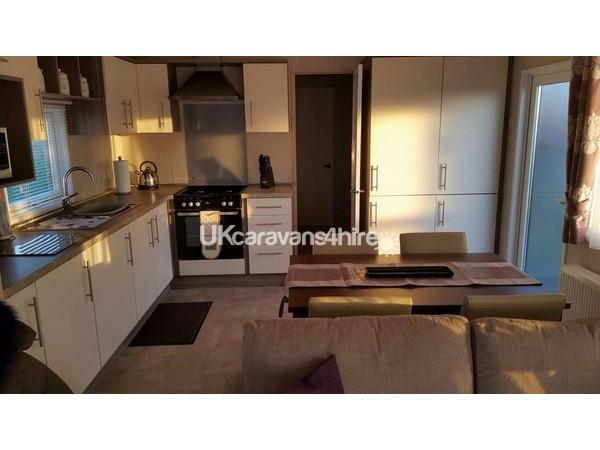 A spacious caravan with friendly neighbours on either side. Jan made us all very welcome and nothing was any trouble for her...even supplying extra dishes when we turned out to be a party of fI've instead of the original four. None of us wanted to leave and all of us can't wait to return. I'd thoroughly recommend Jan's beautiful caravan...A must for those that like fluffy towels a cosy bed and a really first class shower. The little extras like a welcome pack , toilet rolls, shower gel and hand soaps along with a personal guided tour made our holiday experience even better. Thanks marion for the review just let me know when you want to book again. Thanks for the gift and card. We stayed at Jan's caravan as a last minute weekend away for my birthday in March. We had such a great time, the caravan is beautiful, spotlessly clean and Jan can't do enough for you. It's great to get such a high spec caravan that allows pets, we will definitely be back for a visit soon. Thanks nicola I am glad you enjoyed your break and it would be great to see you back again.